So you’re ready to hit the road this year in your RV. You’ve picked out the ideal make and model, and you may even be planning your adventures. Only one thing remains – getting the RV financing you need while having enough money left over to actually go on those trips. Many people make the mistake of rushing into an RV loan without doing their homework, and that could cost them hundreds or thousands of dollars over the life of their loan.Getting the best RV financing for you and your budget requires a bit of research, but it’s research you can bank on. To help you get started, we’ve put together a 5-step plan. When you plan your RV budget, remember that it needs to include more than your monthly loan payment. You’ll be paying the down payment, taxes, and title fees upfront; you’ll also need to have insurance before you drive it off the lot. Don’t forget about the cost of fuel for your journeys and a “slush fund” for maintenance and repairs. Add these costs to your current monthly expenditures – such as mortgage, utilities, food, credit card payments, etc. – to get a clear picture of what you can actually afford. Qualifying for an RV loan is more difficult than qualifying for a standard car loan, so it’s a good idea to check your credit report before you start shopping. You can get a free copy of your report from each of the three nationwide reporting agencies every 12 months from annualcreditreport.com. Or you can contact the credit bureaus individually: Equifax Credit Information Services: 1-800-685-1111, Experian: 1-888-397-3742, TransUnion Corporation: 1-800-916-8800. It’s important to check your report from all three bureaus because mortgage lenders usually take credit scores from each of these reports and base your rate on the median score. Errors on just one report can affect your interest rate – and your monthly payment – even if the other two reports are accurate. Although disputes are generally resolved within 30 to 60 days, the process can take longer ifyou have to mail documents back and forth. There are ways to improve your credit score prior to applying for a loan, and it’s best to start the process several months in advance. First and foremost, pay your bills on time; it has a big impact on your credit score, so be particularly careful not to miss any deadlines before you start applying. Six months before you apply for a loan:Don’t open or even apply for any credit cards. Lenders look at “credit inquiries,” which show that other lenders have asked for your credit record and indicate that you might be about to take out a lot of new debt. Inquiries made within the past several months could mean you’ve taken on new debt that hasn’t yet been reported.Surprisingly, you shouldn’t close any credit cards during this period. Almost 30% of your FICO credit score, the one most lenders rely on, is based on the amounts you owe, including how much of your available credit you’ve used (called your “credit utilization ratio”). If you close a card that has a high credit limit but keep your balance the same on your other cards, it will look as if like maxing out your available credit, which can hurt your score. Two months before you apply:Start paying down your card balances, with the goal of getting to a zero balance. If you have to add new charges, keep them to 10% or less of your available credit, whether or not you pay off your credit card bill in full every month. Once you do start shopping for a loan, keep your loan inquiries within a 30-day range. 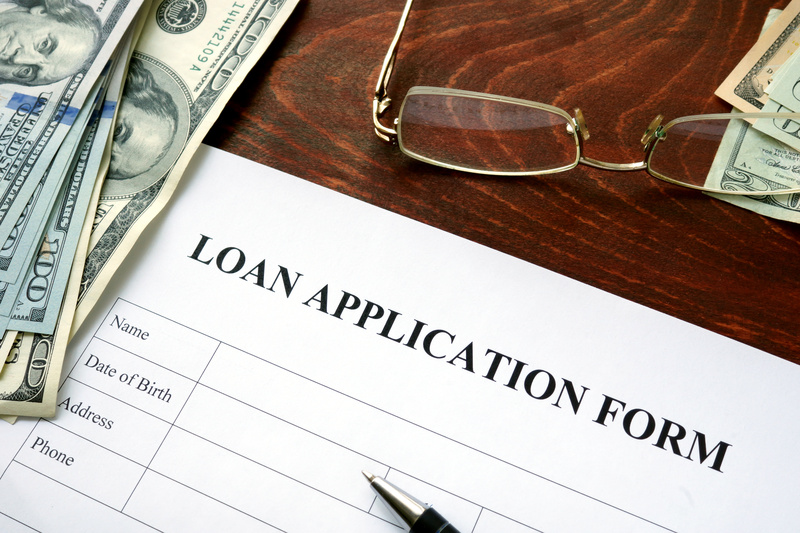 If you inquire about loans over a longer period of time, that could negatively reflect on your FICO score because it appears you may actually be taking out multiple loans. Along with this information, you’ll need your downpayment. The typical down payment for an RV loan is 20%. Available comparisons – you can shop around for loans and speak directly with lenders about their credit terms. Advance knowledge of the credit terms. By getting financing before you buy the vehicle, you’ll know how much RV you can afford. Dealers offer vehicles and financing in one location and may have extended hours, like evenings and weekends. Special purchase programs. Dealers sometimes offer manufacturer-sponsored incentive programs to buyers. The programs may be limited to certain vehicles or may have special requirements, like a larger down payment or shorter contract length (36 or 48 months). These programs often require a strong credit rating; check your credit score to see if you qualify. 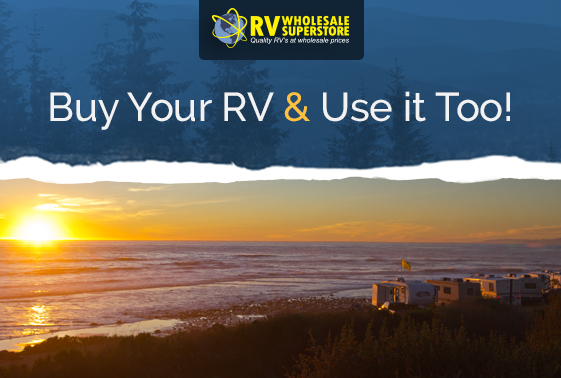 Financing through RV Wholesale Superstore is quick and easy, and our rates are competitive with other lending sources. Complete and submit https://rvwholesalesuperstore.com/finance/, and we’ll do the rest of the loan legwork for you! When it comes to RV financing, it pays to shop around. Consider offers from several sources of financing, including the dealership, banks, and finance companies. Comparison shopping is the best way to find the finance terms that suits your needs.Ask about any current or upcoming special rates. If you’re going through a dealership, inquire about manufacturer incentives, such as reduced finance rates, other special financing offers, or cash back on certain models.Note that these discounted rates are generally not negotiable, may be limited by a consumer’s credit history, and/or are available only for certain makes, models, or model-year vehicles. Additional Products or Services — Products or services that the dealer may offer in a sale, financing, or lease. Examples include extended service contracts, credit insurance, and guaranteed auto protection. These products and services are optional. Get the costs and terms of any additional products and services in your contract, and sign only for the specific products you want. Annual Percentage Rate (APR) — The cost of credit expressed as a yearly rate. You may be able to negotiate this figure. Factors that influence your APR: Your credit history, current finance rates, dealers’ compensation, competition, market conditions, and special offers are among the factors that affect your APR. Try to negotiate the lowest APR just as you negotiate the price of the vehicle. Assignee — The bank, finance company, or credit union that buys the contract from the dealer. Credit Insurance — Optional insurance that pays the scheduled unpaid balance if you die or the scheduled monthly payments if you become disabled. The cost of optional credit insurance must be disclosed in writing. If you decide you want it, you must agree to it and sign for it. Credit Score — A number that reflects the credit risk you present based on information in your credit file. The better your credit history, the higher your score. Your credit score may be used to help decide the rate and other terms you are offered. Finance Charge — The cost of credit expressed as a dollar amount. You may be able to negotiate this figure. Fixed Rate Financing — Financing where the finance rate stays the same over the life of the contract. Guaranteed Auto Protection (GAP) — Optional protection that pays the difference between the amount you owe on your vehicle and the amount you would get from your insurance company if the vehicle is stolen or destroyed before you have paid off your credit obligation. Negative Equity — The amount owed on a vehicle above its market value. For example, if your credit payoff is $18,000 and your vehicle’s market value is $15,000, you have negative equity of $3,000. Negotiated Price of the Vehicle — The purchase price of the vehicle agreed on by the buyer and the seller. The price should reflect any rebates, discounts, or special offers that you can get at the dealership if you meet certain qualifications, which should be clearly disclosed. Repossession — If you do not make timely payments on a vehicle, your creditor may have the right to repossess it without going to court or warning you. Total of Payments — As disclosed on a loan or finance contract, the total amount you will have paid after you have made all the payments as scheduled. For a lease, this is the amount you will have paid by the end of the lease. Variable Rate Financing — Financing where the finance rate varies and the amount you must pay changes over the life of the contract. This is not typical in vehicle finance transactions. Remember, before you sign on the dotted line, do your RV-loan homework. Know your credit score, do what you can to polish it up, weigh your loan options, and learn the language of financing. The time you spend on research will pay off in better rates and more cash in your pocket. Want to learn more about financing an RV? Download this FREE eBook from RV Wholesale Superstore!